Melbourne’s weather is doing what it does best; changes every five minutes. But there have been a few warm days now and a fair bit of rain, which is a relief given that we are in a 12-year long drought [^]. This little lamb was only a few days old in April, and had been left to have a sleep my mum. This presented a wonderful opportunity to creep up and get a few close-ups. Once used for photographic purposes a family reunion was swiftly organised. 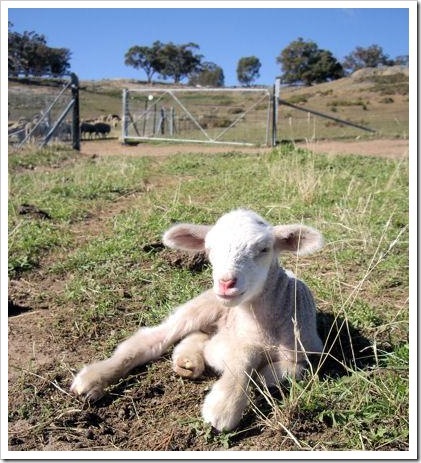 Spring and lambs are two things that go hand in hand, even though here in Victoria lambing mostly happens in April and May (Autumn). Posted in: Farm, Landscapes, Photos.